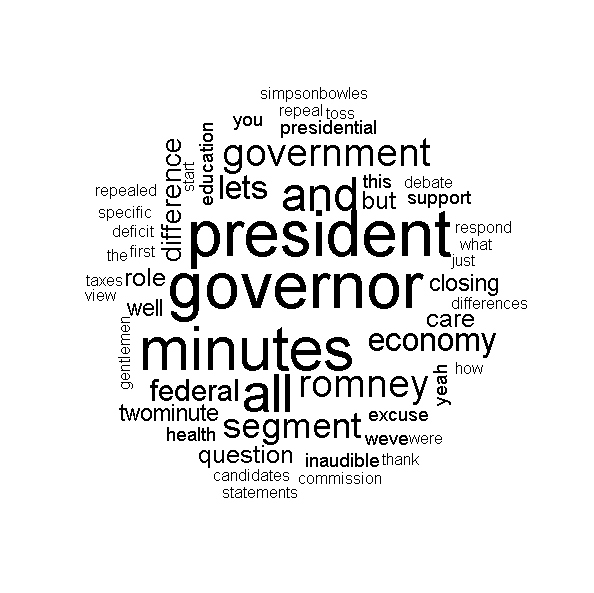 So there are word clouds going around for the 1st presidential debate between Obama and Romney. What about Jim Lehrer’s word cloud? What are his important words? For those that care this word cloud uses the R package “wordcloud”.